The title of Maroon 5's new album, "Overexposed," pokes fun at the band's ubiquity, which is mainly due to the massive (and at times annoying) hit "Moves Like Jagger," as well as frontman Adam Levine's popularity as a judge on NBC's "The Voice." While the band is to be congratulated on all that exposure, it seems as if they've lost sight of how to make a good album in the process. Their fourth release has some highlights, but it's mainly boring and safe, with the group taking a more pop approach and stepping away from their rock foundation. The result sounds like the boys are purposely playing to the Top 40-crowd and iTunes singles buyers. The songs lack edge and oomph: First single "Payphone" is one of the year's worst songs; "Fortune Teller" and "Tickets" are just as bad. 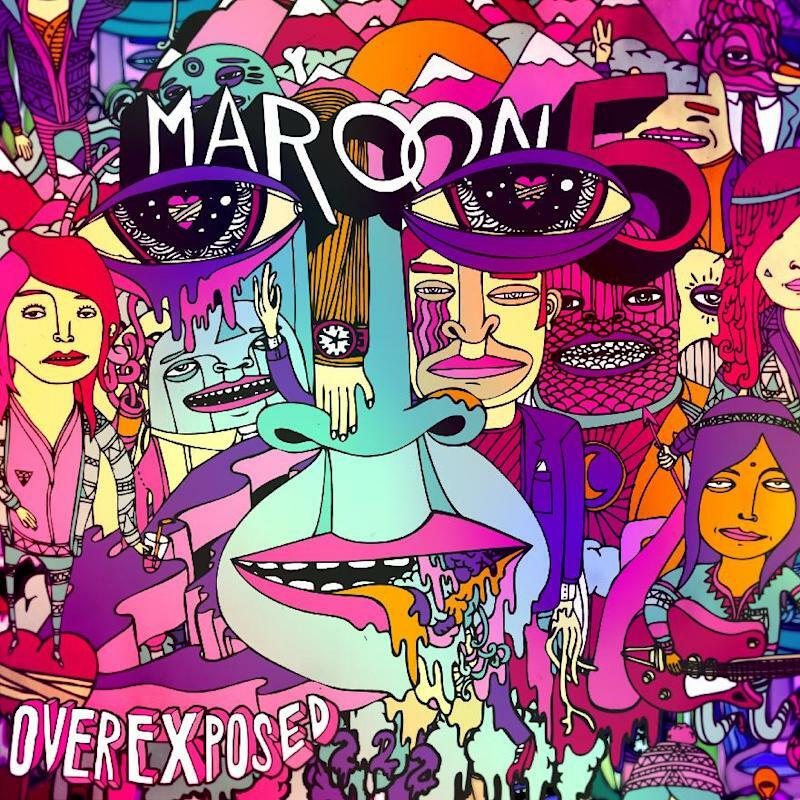 "Overexposed" was produced by hit-makers like Max Martin and "Jagger" producers Benny Blanco and Shellback; all three men have crafted monster smashes for Katy Perry, Britney Spears, Ke$ha and many others. "Daylight," co-written by Martin and Levine, sounds like a bad Coldplay cover and "The Man Who Never Lied," produced by Noah "Mailbox" Passovoy, echoes Irish rockers The Script. Even the uber-talented Ryan Tedder — whose client list includes Adele and Beyonce — can't completely save Maroon 5: He produced "Lucky Strike" and "Love Somebody," and they are just mediocre. "Overexposed" is miles away from the band's debut, 2002's "Songs About Jane"; that album was flawless with its raw lyrics. Maroon 5's other releases were also good, and at moments, great. But their new effort is an attempt to stay on the charts, and that's unfortunate for a group that has artistic depth and credibility. CHECK THIS TRACK OUT: "Sad," a slow groove, is the best of this bunch.